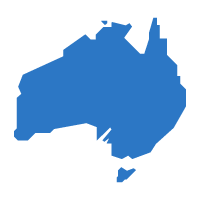 MetLife Insurance Limited (MetLife Australia) is a subsidiary of MetLife, Inc. and one of the largest life insurance companies in the world. MetLife entered the Australian market in July 2005 and offers protection solutions to support Australians in maintaining their current lifestyles. MetLife Australia is a specialist provider of Australian risk life insurance products and serves both individuals and corporate clients. The company designs and executes direct insurance programs for partners’ customers and insurance solutions to meet the needs of specific groups. The products offered by MetLife include a mix of Life Insurance, Home Insurance, Vehicle Insurance, Disability Insurance, and Dental Insurance to name a few. In Australia, MetLife’s insurance products are designed to suit most life stages, and product offerings include Term Life Insurance, Trauma Insurance, Income Protection Insurance, Loan Protection and Mortgage Repayment Insurance. Seven times in a row, this specialist provider of life insurance received an A+ rating from Standard & Poor’s for financial strength and issuer credit. MetLife was 42nd in the 2014 Fortune 500 list of the world's largest companies. MetLife has 90 million customers worldwide. MetLife can trace it's roots back almost 150 years. Is the Your Life product the same as the Coles Life Insurance Policy backed by MetLife? Do I need to go for medical tests if I want to increase my cover? Can I take out cover for my child? MetLife Inc. is MetLife’s parent company and a leading global provider of insurance, annuities and employee benefit programs and asset management. The company also offers a number of financial services like Wealth Management, Financial Planning and Retirement Planning, Healthcare Insurance and Education Loans. Founded in 1868, MetLife is over a 140 years old and serves approximately 90 million customers in nearly 50 countries. MetLife Inc. holds leading market positions in the United States, Japan, Latin America, Asia, Europe and the Middle East through a combination of organic growth, acquisitions, and joint ventures. MetLife paid out almost $50 Billion worth of claims in 2013. MetLife has over $4.3 Trillion worth of Life Insurance protection inforce globally. In 2013 MetLife paid out almost $50 Billion in claims and had over $4.3 Trillion worth of Life Insurance Protection policies in force, supported by 65,000 employees worldwide (2016). With over 140 years of experience, MetLife was named 42nd in the 2014 Fortune 500 list of the world’s largest companies and earned the title of World’s Most Admired Company Life Insurance Company by Fortune Magazine in 2015. MetLife is also a trusted partner to more than 90 of the top 100 Fortune 500 companies in the US. MetLife initially started out in 1863 as National Union Life and Limb Insurance Company, established by a group of businesspeople in New York City, with the aim to insure civil war sailors and soldiers from wartime wounds, accidents, and sickness. 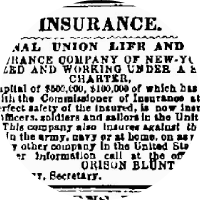 Five years later, in 1868, the company completely embraced the life insurance business and was renamed MetLife Insurance Company. In 1915 MetLife changed from a stock life insurance company owned by individuals to a mutual company operating without external shareholders. The company went public in 2000 and began operation in Australia five short years later, in 2005. National Union Life and Limb Insurance Company restructures and rebrands to Metropolitan Life Insurance Company. Metlife begins operations in Australia. MetLife is a subsidiary of MetLife Inc. a specialist provider of life insurance, serving over 90 million customers worldwide. No, these are two separate products, while MetLife is the underlying life insurer for both of these products the policy pricing, features and benefits are very different. No they are an American company who originated in New York but has operated in Australia since 2005, with their Australian office based in Sydney. ChildCare is an insurance option that pays $50,000 for an insured child, between the ages of 1 and 16, if said child were to suffer any of the trauma event specified as per the , while your Term Life Insurance Policy is still in force this would trigger a benefit payment. We are here to help, if you are looking to understand how to best protect your family or your income and require assistance understanding your options please contact one of our consultants on 1300 135 205.